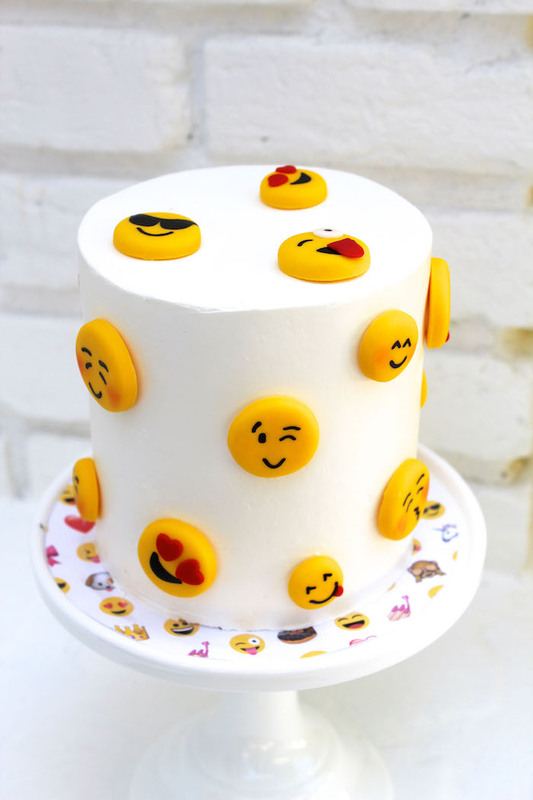 Feeling a little emotional? 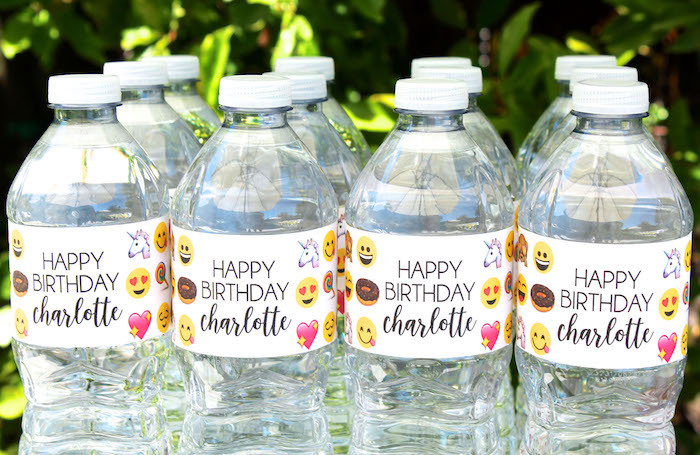 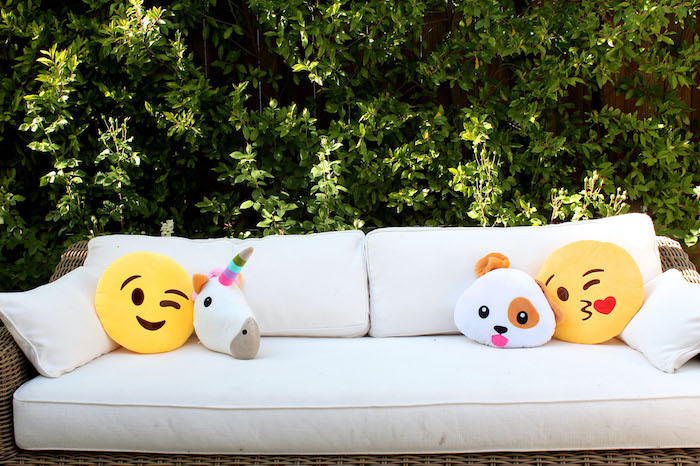 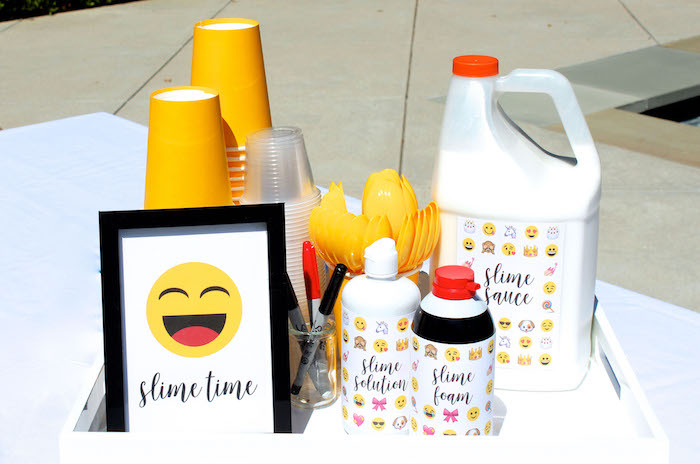 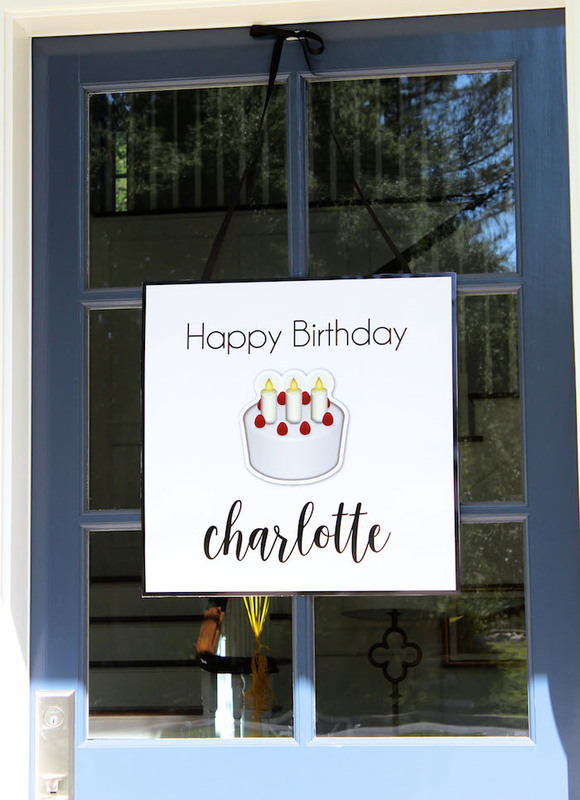 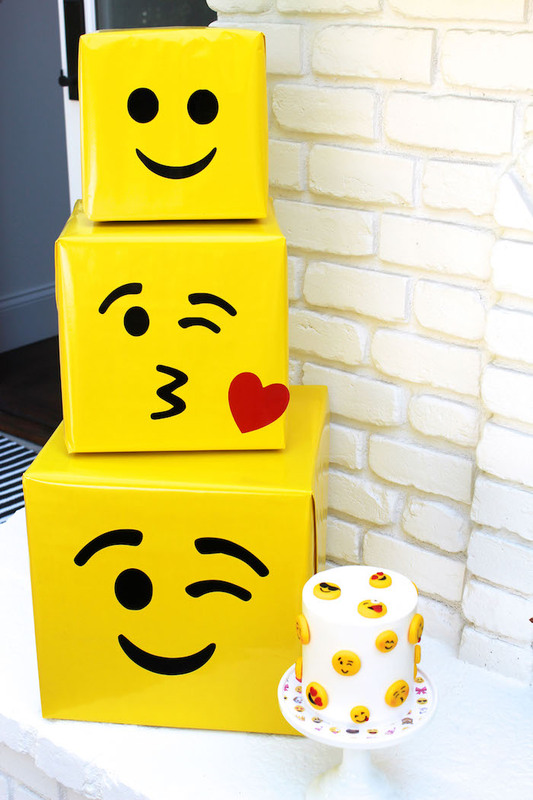 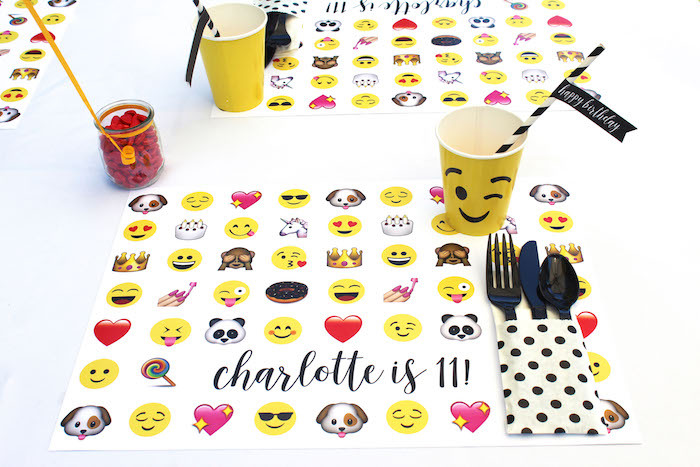 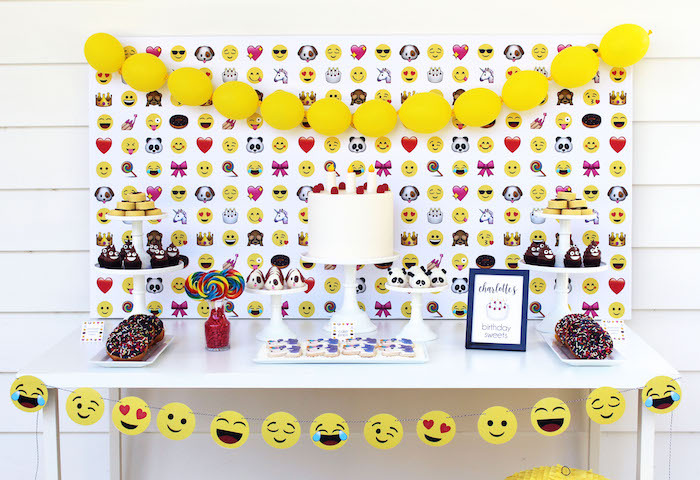 You’ll cry your eyes out over this Stellar Emoji Birthday Party by Jenny Raulli of Bloom Designs Online! 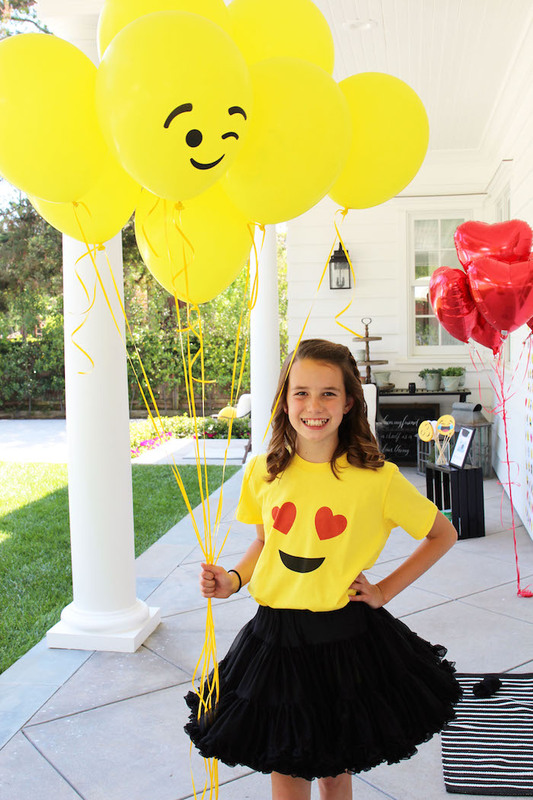 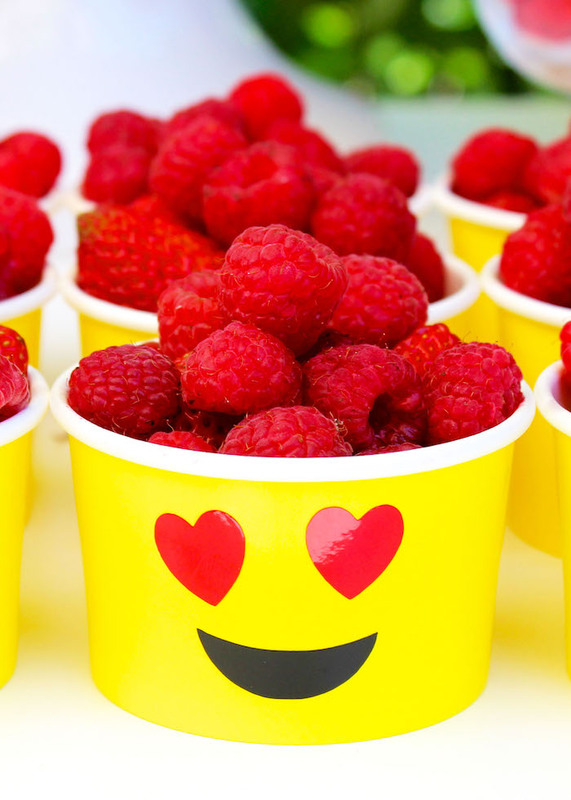 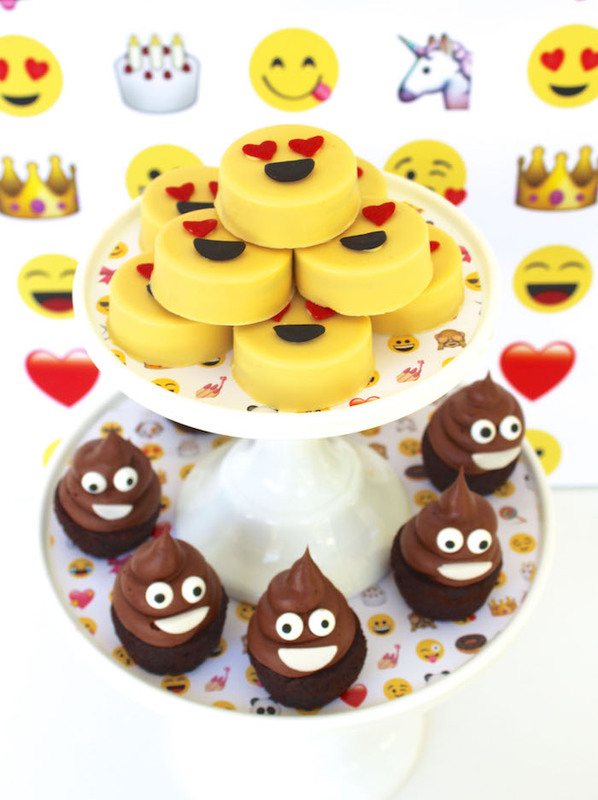 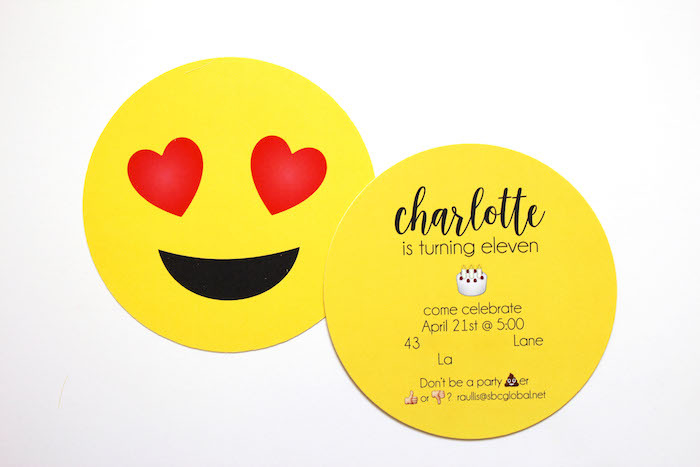 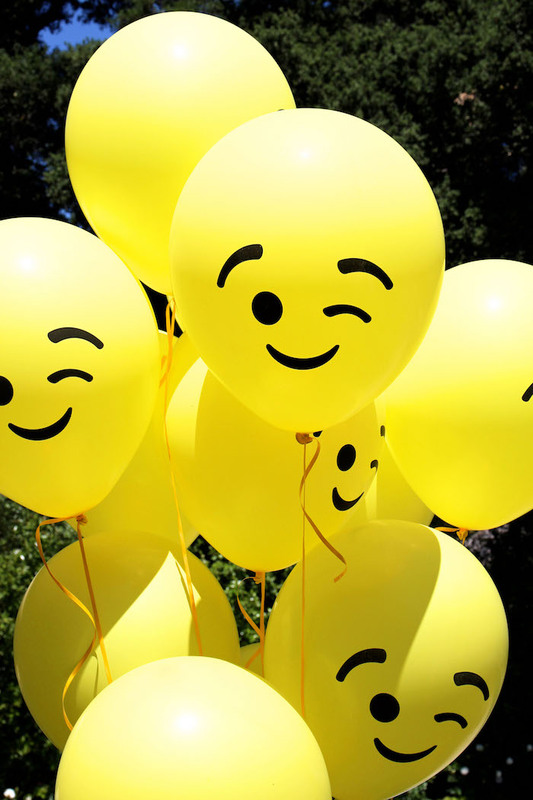 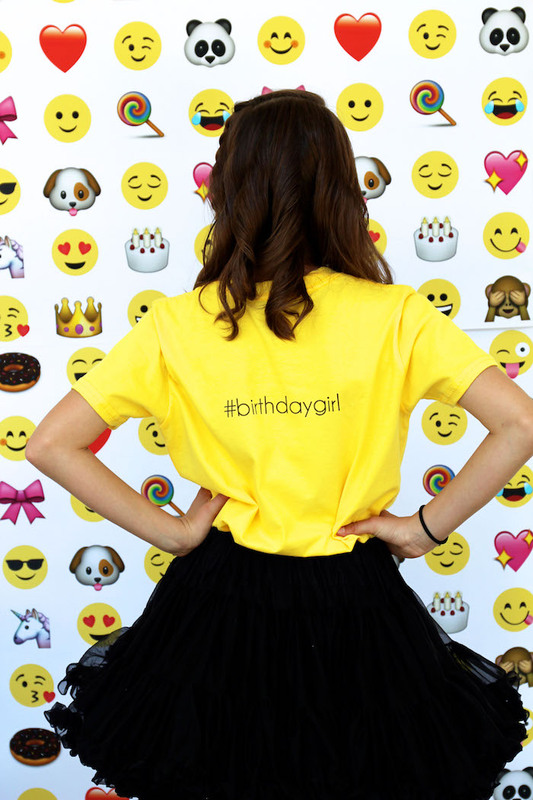 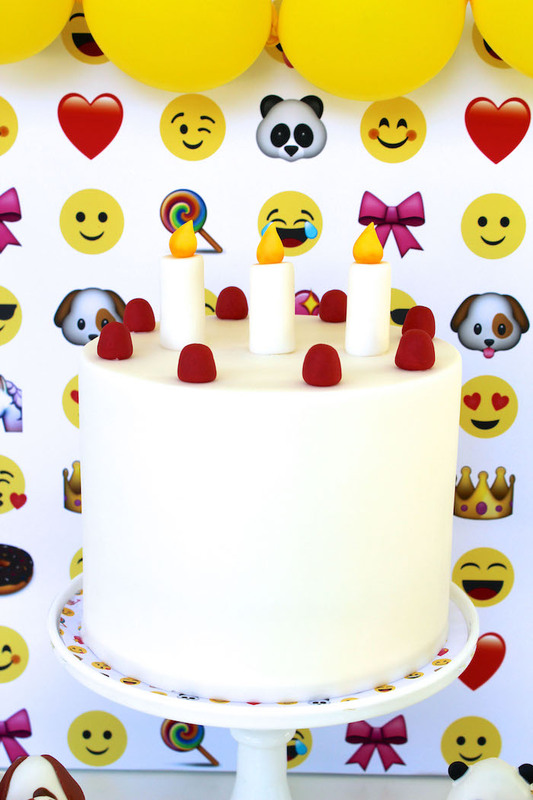 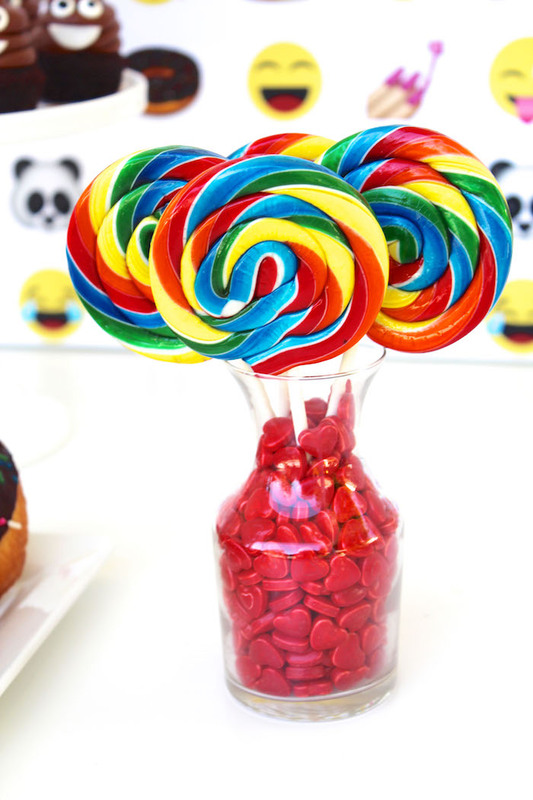 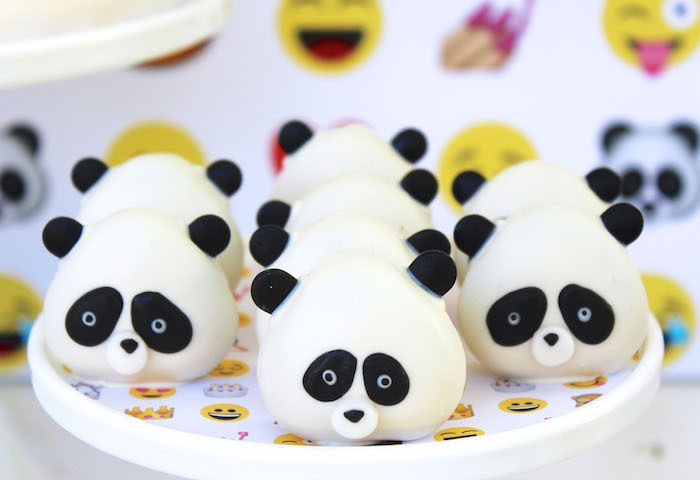 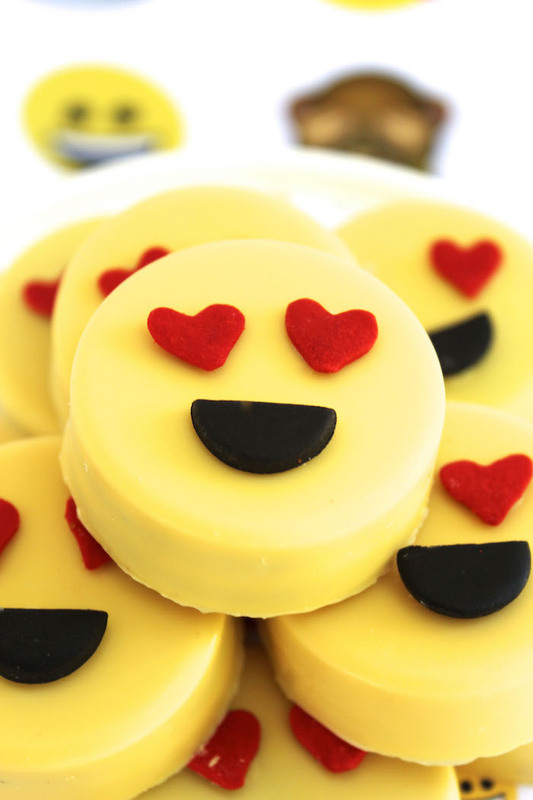 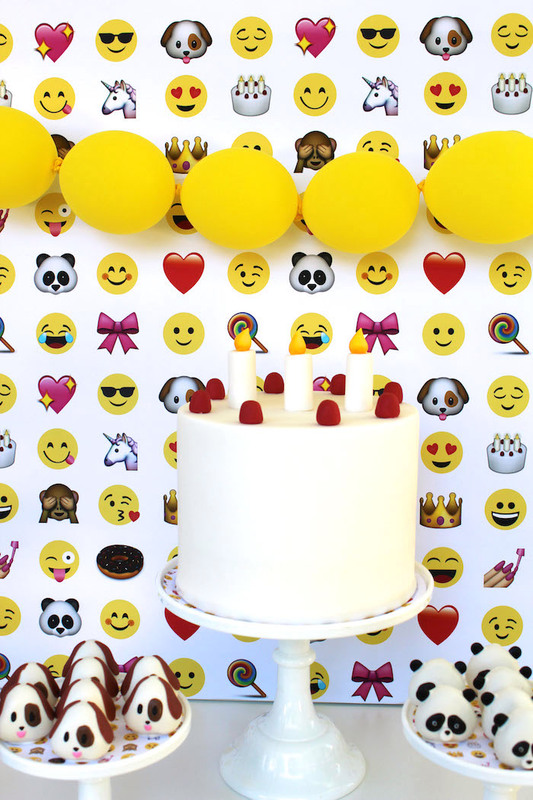 From the adorable emoji sweets to the fabulous decor and more, this birthday bash is emoji galore! 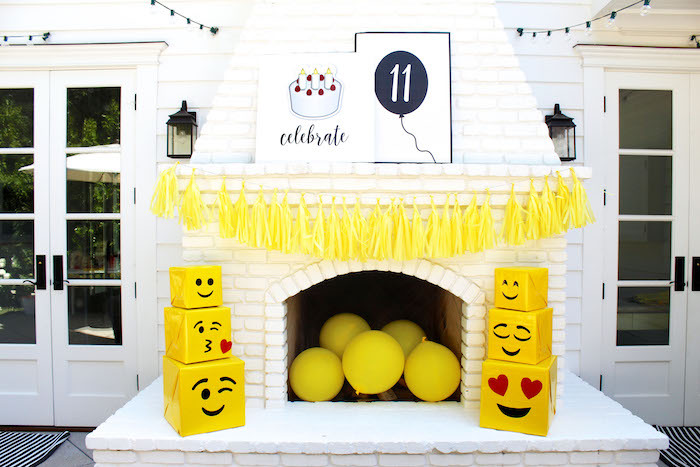 Although you will be laughing and crying over every detail featured in this fun-filled celebration, here are a few elements that will surely fill your eyes with hearts! 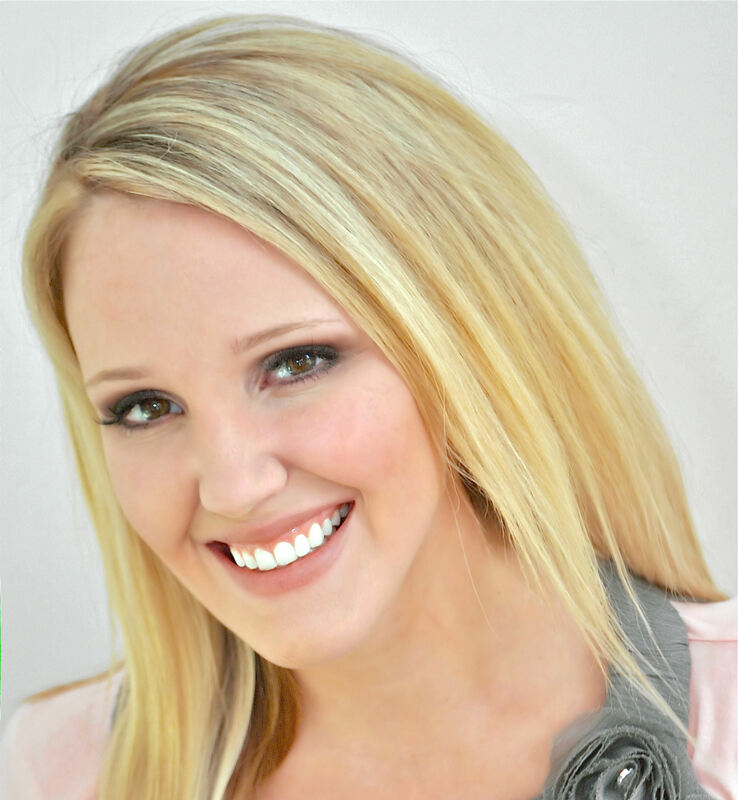 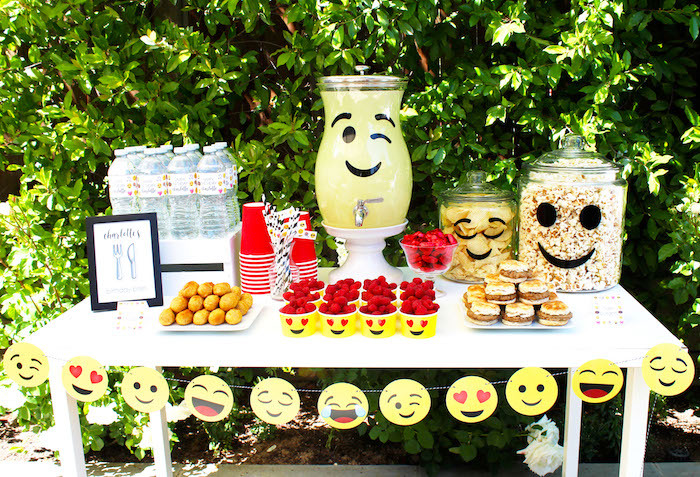 This is what Jenny shared about the party- “Ready to get a little “emoji”nal? 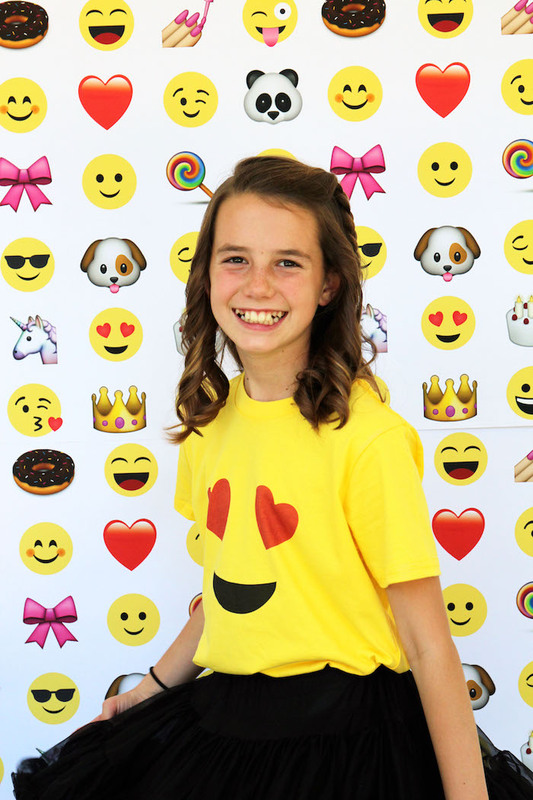 My sweet daughter Charlotte couldn’t wait to celebrate her 11th birthday with all her friends and favorite emojis. 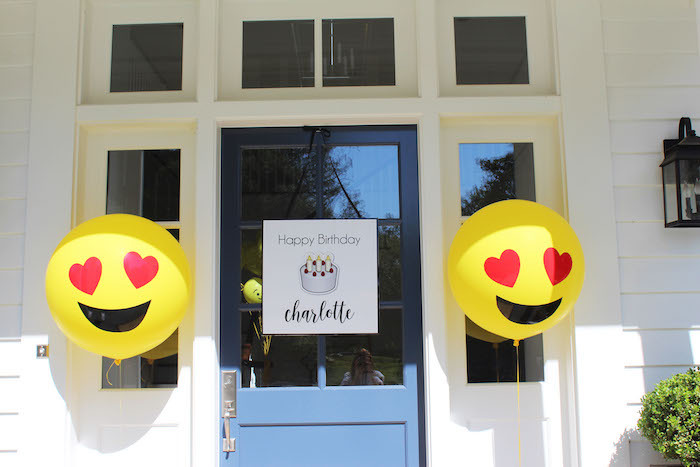 Charlotte planned and talked about this party for over a year so I knew it had to be everything she had envisioned. 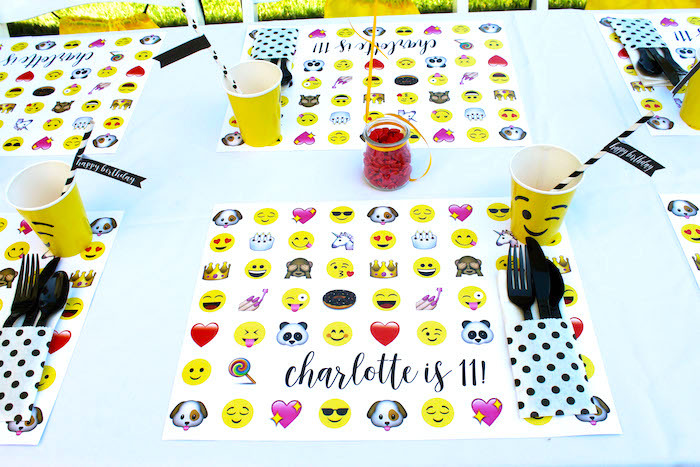 Rather than just using emoji faces, I wanted to incorporate other emojis that were a bit more personal to Charlotte (notice the panda and bow from her two prior parties?) 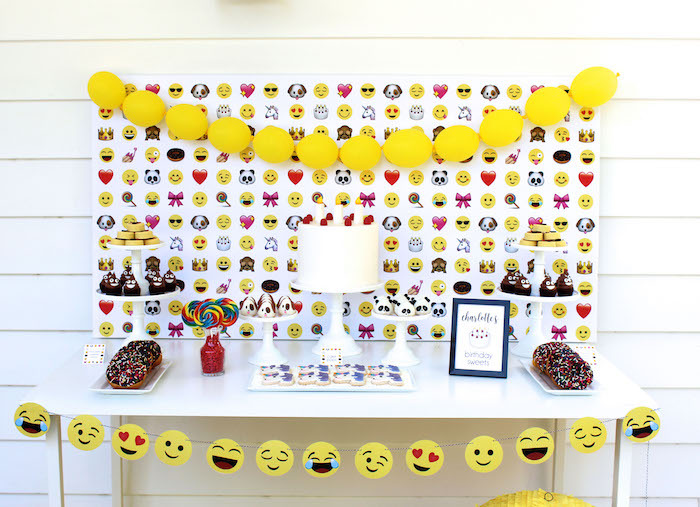 Once I designed the background paper/envelope liner, the party pretty much styled itself. 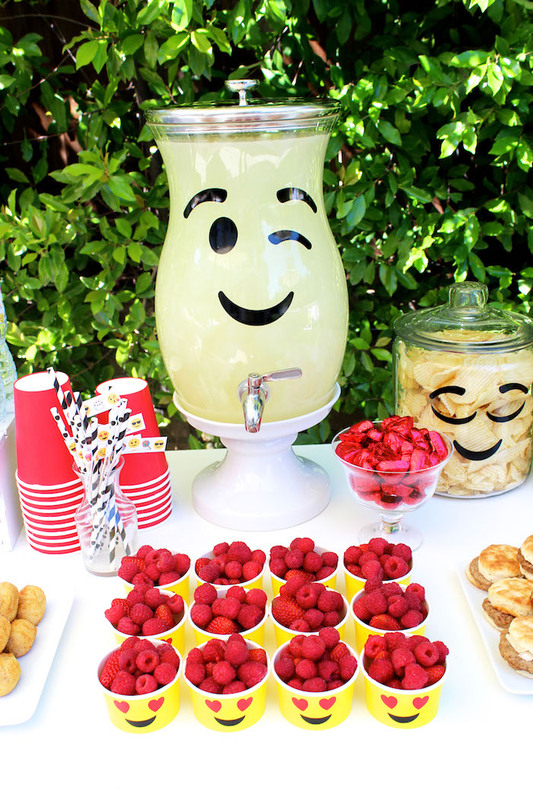 As always, the dessert table was the focal point of the party. 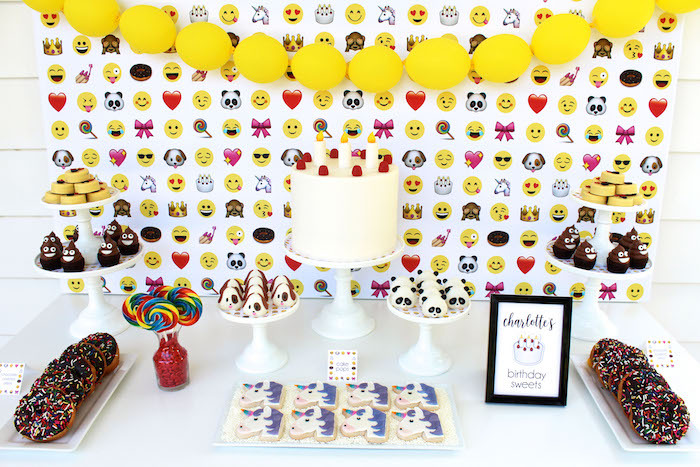 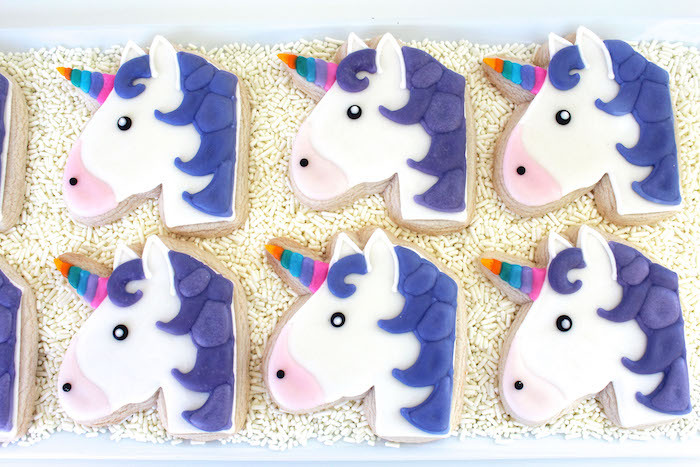 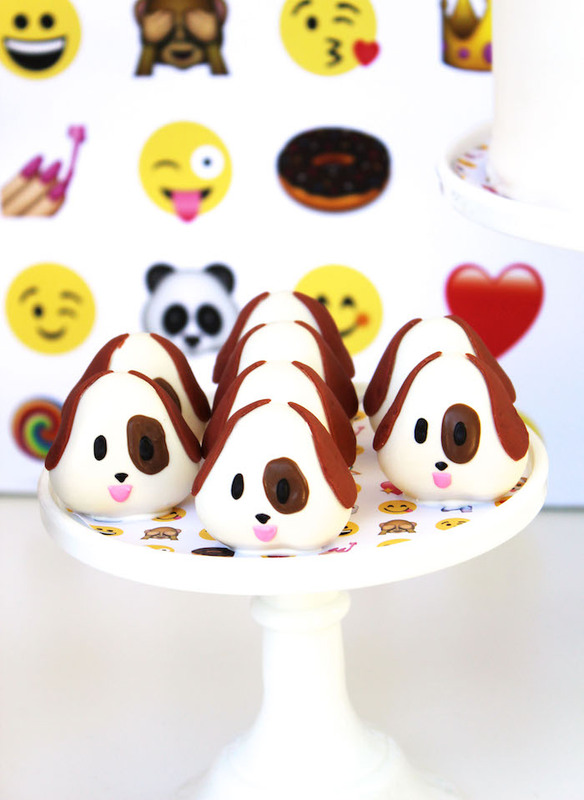 All of the desserts served looked liked one of our emojis including an emoji cake, dog and panda cake pops by my favorite Cake Poppin, Unicorn sugar cookies, lollipops, chocolate sprinkled donuts and chocolate covered Oreos. 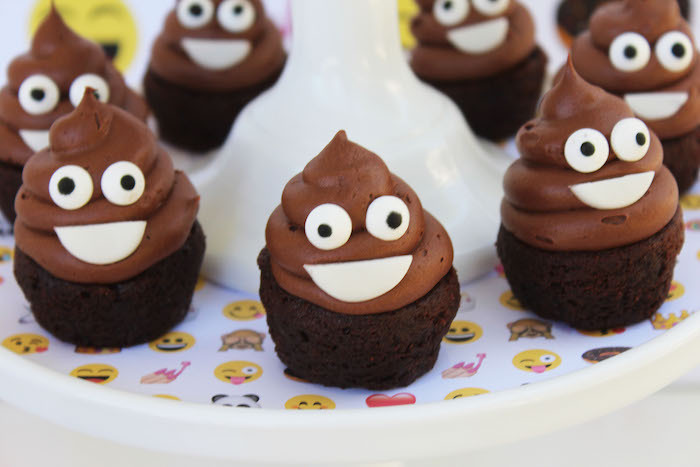 The girls’ favorite dessert by far were the poops made from brownie bites, chocolate buttercream, candied eyes and mouths we made from fondant. 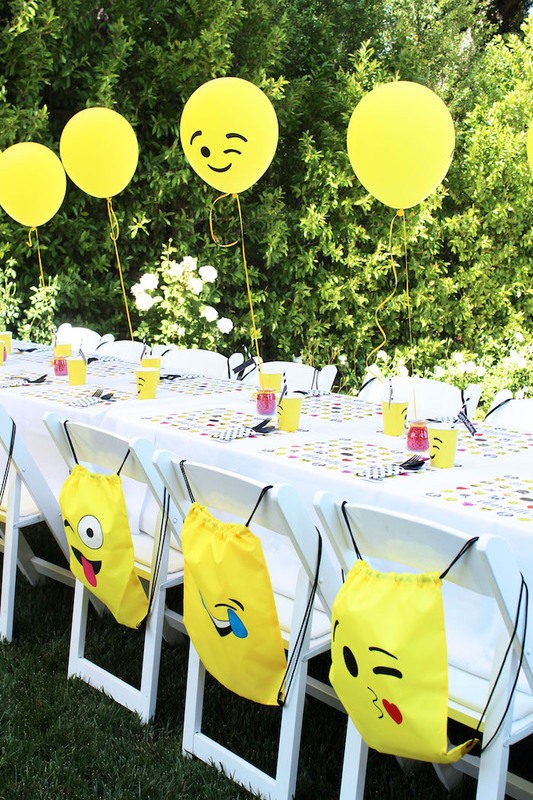 The eating table was set with personalized placemats, our emoji balloons and emoji backpacks which each of the girls took home. 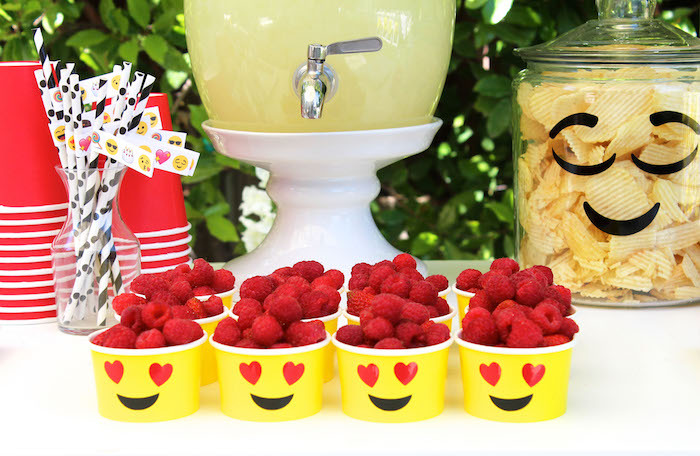 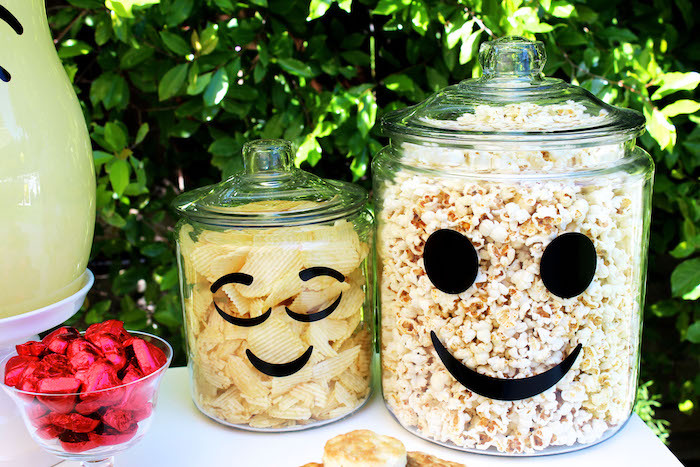 On the drink and snack table, I decorated the drink dispenser, raspberry cups and biscuit jars with emoji faces cut from vinyl. 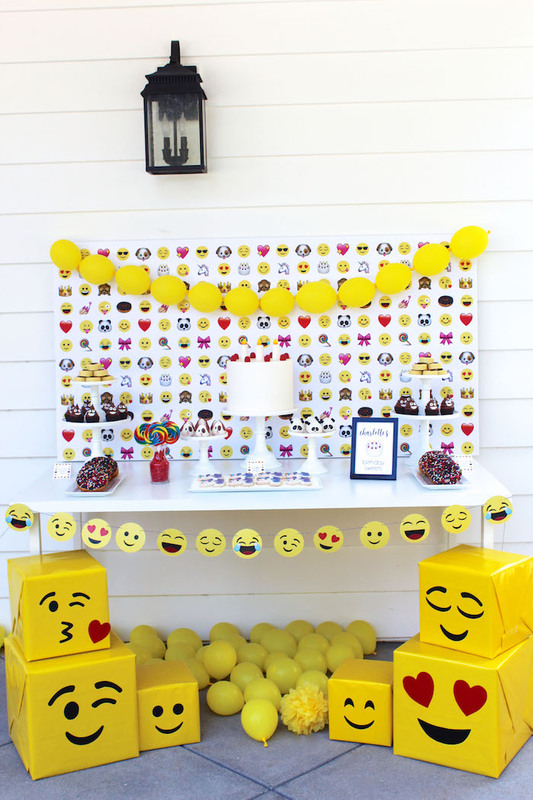 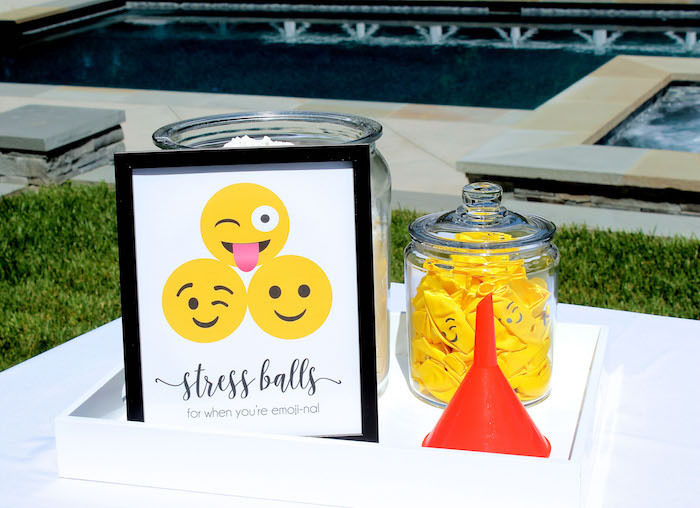 Custom emoji balloons, and emoji piñata and emoji boxes that we made complete the look for our party. 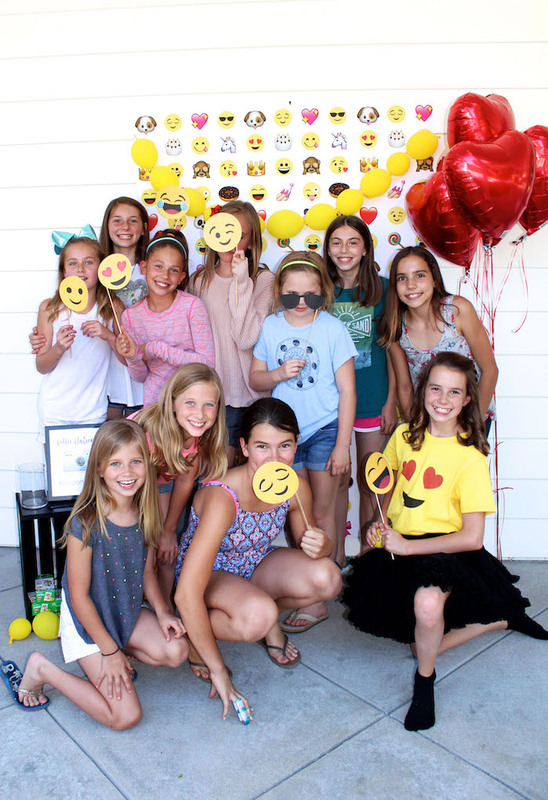 During the party, the girls made emoji slime and emoji stress balls, took selfies in our photo booth and played with paper fortune tellers. 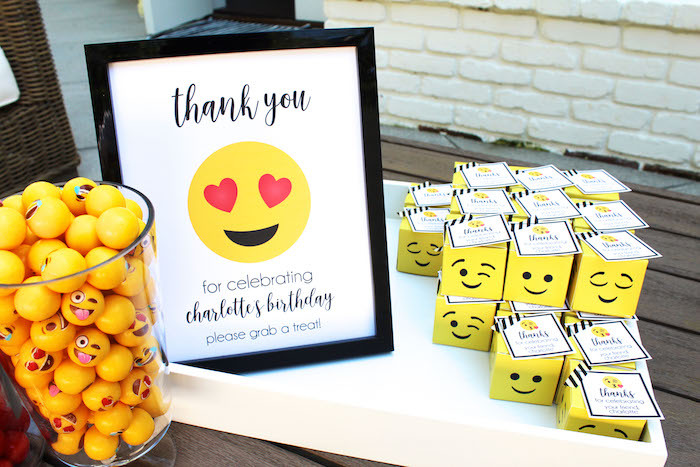 As they left the girls each got a emoji party favor box. 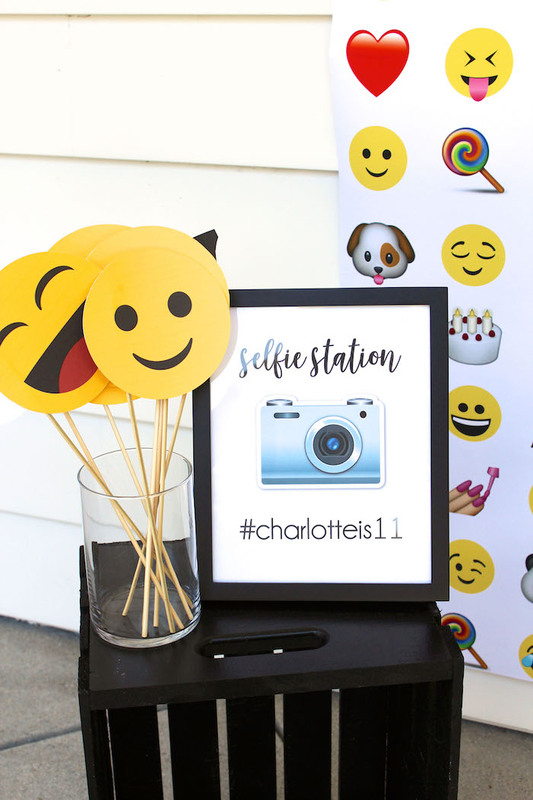 The girls had a blast and believe it or not Charlotte has already picked the theme for her party next year. 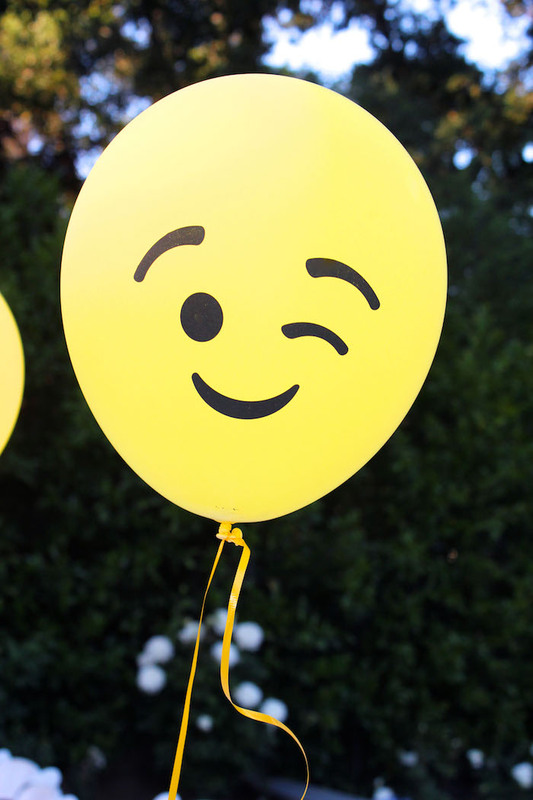 Off to work”! 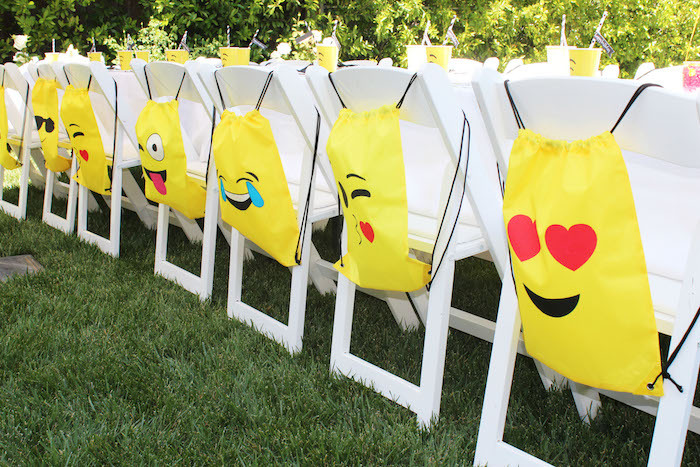 Great idea for a party. 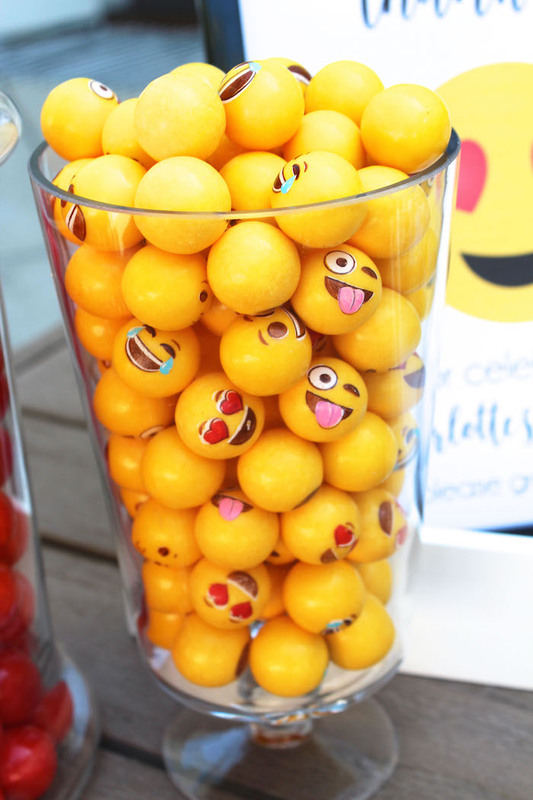 Lookss like fun had by all.